When editing an AppStack you can change the AppStack name, description and you’ll have the option to adjust the operating systems you want to run the AppStack on. Because my provisioning machine runs Windows Server 2012 R2 and my client run on Windows 10 I have to edit the AppStack in order to get it to work. Note: This will not work in all cases. It’s best to capture and deliver an application on the same OS. 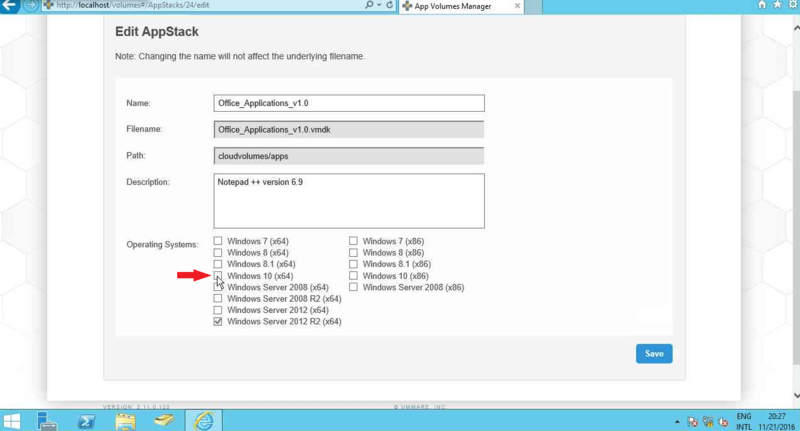 In the App Volumes Manager, open the AppStack and click Edit. 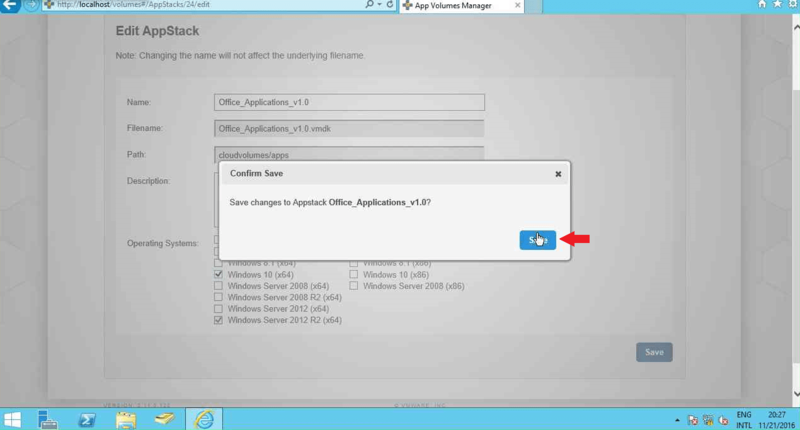 Select the operating system you want to run the applications on. In this case I use Windows 10 x64 on my client. 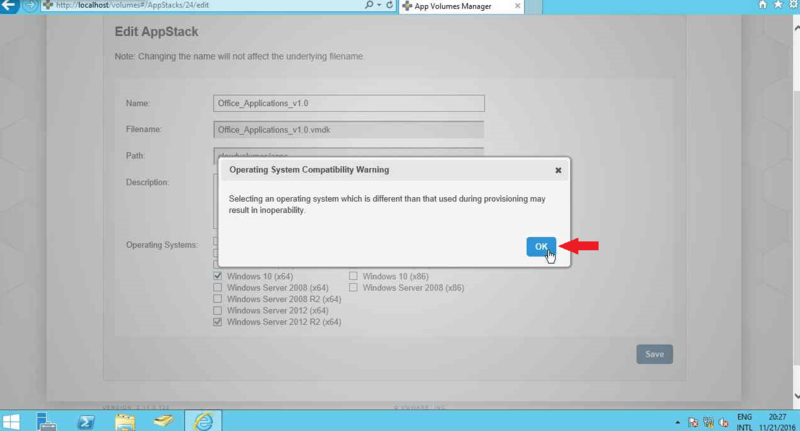 When you select the operating system, you will receive a pop-up that notifies you that the operating system you selected if different from the one it got captured on. Click OK to continue. The new operating system is now selected, click Save. 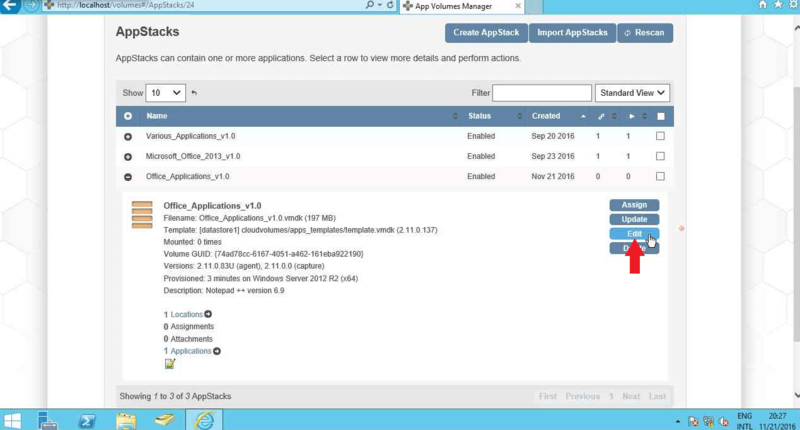 We now have created, provisioned and edited an AppStack. The next part is the assignment of the AppStack.